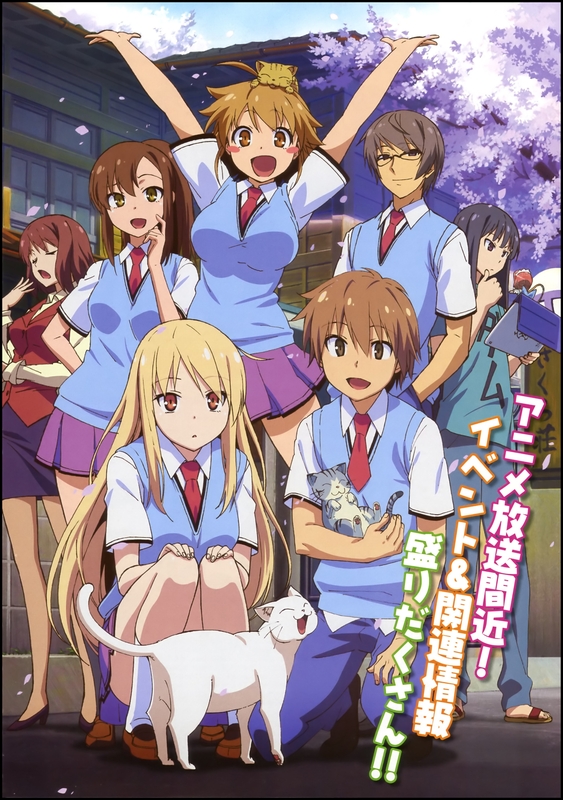 The Pet Girl of Sakurasou began airing on October 9th, 2012. The story follows Sorata Kanda, a second-year student at Suimei High School, who was kicked out of the regular school dormitories after adopting a stray kitten. In exchange for keeping the kitten, Sorata moves to Sakura Hall (an offshoot of the school’s dorms) and upon arriving his life is changed forever. The show begins with the arrival of a new student, Mashiro Shiina. Mashiro is a renown painter known the world over for her masterpieces, However, when it comes to daily task such as getting dressed and washing clothes, she is utterly lost. She immediately latches onto Sorata and he soon becomes her designated career. But this task will prove to be challenging as Mashiro’s sheer talent is enough to inspire anyone to achieve greatness and destroy their dreams from their failures. My Review: This show is full of ups and downs, which is partly why I found this show sort of hard to watch, I felt that it conveys so much emotion that I needed to take regular breaks as to not get so overwhelmed. The story is really enveloping and with so many different characters there also comes so many – just as interesting – side stories. Speaking of characters, all the residents of Sakura Hall at utterly wonderful, they are each completely individual to one another, but interact is such an enjoyable way that it had me grinning and laughing with every episode. But the show also does the opposite with a great many really depressing moments. I would also like to mention that the show has a really great ending and I would definitely like to see a second season continuing on from it, but perhaps focusing on the new characters. I watched this anime before. It was pretty good. The interaction of the characters is the most entertaining aspect of the anime. They were mostly hilarious, though the drama part was overwhelming. The show, overall, is fairly satisfying for entertainment purposes. I’m glad to hear that you agree with me.